The other day, I was at the playground with my almost three-year-old charge, Adam when we heard a cat “meowing“. Or at least, we thought it was a cat. The only problem was that the sound came from a copse of trees that sits near where Adam and his little friends were playing. When I say it came from the trees, I mean the treetops. It was the distinct “meow” that a cat makes, yet it was a repeated syllable like that of a bird call. After a few moments of listening to this amazing sound, I had to conclude that it was in fact avian and not feline that was making the sound. When I got home, I booted up my laptop and began searching for who the songster could have been. 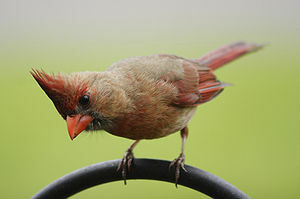 The first thing I did was to look up what I thought was the most obvious and logical answer to my query–a catbird. 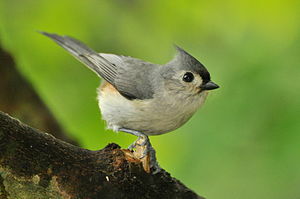 Here is the site where you can hear the Gray Catbird‘s voice: http://www.allaboutbirds.org/guide/gray_catbird/id/ac. Yet this was not the sound I had heard from the copse of trees near the playground. I live in East Central Texas, just north of Houston. 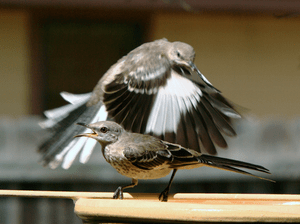 So, mockingbirds are quite plentiful there. In fact, I see them everyday that Adam and I go out for our walks. 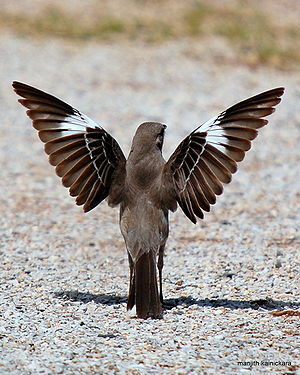 Because I know how talented and awesome these mimickers are, I started a search entitled,”can mockingbirds meow like a cat”. Here is the result: http://www.youtube.com/watch?v=Yup8slN9FVU. At last, I had found the remarkable songster. 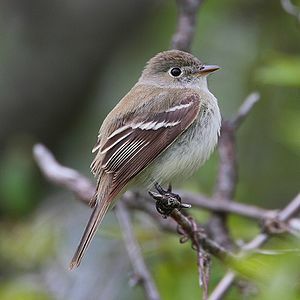 This is the reason I adore these little birds so very much and am incredibly proud to say that they are the Texas State bird. These gray, white and black songbirds may not have the most colorful feathers, but they make up for that with their charming personalities and as multi talented singers. With the popularity of the Hunger Games and the mockingjay, this little bird should skyrocket even closer to the top of the songbird chart. As always, I hope you enjoyed this little journey into my world!